I am an award-winning translator of Czech, and also work in editing and communications. From 2014 to 2016, I served as cochair of the Translation Committee at PEN America, and I am currently working with the Authors Guild to develop a model contract for literary translation. I maintain a list of Czech literature translated into English, from 1987 to the present, at bit.ly/czechlitinenglish. (For works prior to 1987, see George J. Kovtun’s Czech and Slovak Literature in English. A Bibliography. Second Edition.) As of August 2018, I am a member of the Cedilla & Co. literary translators’ collective. At the moment, I have three projects for which I’m seeking publishers: A Brief History of the Movement, by Petra Hůlová; Biography of a Black-and-White Lamb, by Tomáš Zmeškal; and Dust Collectors, by Lucie Faulerová. Samples and synopses of the novels, and bios of the authors, are available at Cedilla & Co.
April 28, I’ll be reading at KGB Bar in Manhattan, in the latest installment of the PEN America Translation Committee’s Reading Series, this time focused on works in progress. I’m going to read from my translation in progress of Jáchym Topol’s 2017 novel Citlivý člověk (in English tentatively titled A Sensitive Person). March 22, at Carnegie Hall, the American Symphony Orchestra presented a musical performance of Bohuslav Martinů’s 1938 operatic masterpiece Julietta aneb Snář (Juliette, or A Dreambook), based on the surrealist French play by Georges Neveux Juliette ou la Clé des songes. The opera was sung in Czech, with the dialogue in English using my translation of the libretto. More information here. March 19, I took part in a symposium titled Bohuslav Martinů’s Opera Julietta in Context, including the performance of an excerpt of the opera, at the Bohemian National Hall, organized by NYU Professor of Music Michael Beckerman. Details here. February 26, I gave a reading from my translation in progress of the 1939 poem “Mluvící pásmo” (“Talking Zone”) to complement the talk “Lost in America: Avant-garde Writer Milada Součková (1899–1983),” by Czech scholar Zuzana Říhová at the Bohemian National Hall, in Manhattan. The event was presented by the New York Chapter of SVU, the Czechoslovak Society of Arts & Sciences. February 21, my translation of Jáchym Topol’s short essay, “It’s Punk to Be Eastern European,” appeared online at Music & Literature. In November, issue no. 5 of Apofenie, on contemporary Czech fiction, featured work by five authors and four translators, including my translation from the opening of Lucie Faulerová’s 2017 debut novel, Dust Collectors. Also in November, the online platform of Harlequin Creature, a not-for-profit small press imprint founded by meghan forbes, featured my translation of entries from Zuzana Fuksová’s 2016 literary debut, I Feel Like Ulrike Meinhof: Statuses and Tweets. November 2, I read with the translators’ collective Cedilla & Co. at the Monroe County Public Library, in Bloomington, Indiana. The event was held as part of the 41st annual conference of the American Literary Translators Association. Joining me were fellow Cedilla members Sean Gasper Bye, Elisabeth Jaquette, Alta Price, Julia Sanches, and Jeremy Tiang. I read from my translation of an excerpt from Lucie Faulerová’s 2017 debut novel, Lapači prachu / Dust Collectors, soon to appear in the online literary journal Apofenie. September 27, I took part in two discussions—“The Politics and Advocacy of Translation” and “Paths Toward Translation”—during the Center for the Art of Translation’s second annual Day of Translation, presented with the Alan Cheuse International Writers Center, on the George Mason University campus in Fairfax, VA. Full schedule of the day’s events here. Two plays I translated were performed during the Václav Havel Library Foundation’s Rehearsal for Truth Theater Festival, September 25–30, at the Bohemian National Hall, 321 East 73rd St., New York, NY 10021. Details here. Tuesday, September 25, 7:30 p.m.: Staged reading of my translation of Night Before the Funeral, by Natalie Kocab. Wednesday, September 26, 8 p.m.: Performance of my translation of Debt, by Marek Hejduk. June 20, I read selections from work by three Czech authors as part of the event 100 Years of Czech and Slovak Literature, presented by the New York chapter of the Czechoslovak Society of Arts and Sciences (SVU) and the Consulate General of the Slovak Republic at the Bohemian National Hall, in Manhattan. Photos here, here, and here. May 11, at Campus Hybernská in Prague, translator David Short and I sat down with David Vaughan for a conversation on the topic of “Exporting Czech Literature.” David Short was the winner of the 2018 Jiří Theiner Prize, awarded for the propagation of Czech literature abroad. May 10, I appeared at the Shoah memorial Památník Ticha in Prague, to launch my translation of J. R. Pick’s Society for the Prevention of Cruelty to Animals. The event was held as part of Svět Knihy, the Prague book fair. Celebrating the launch with me was Zuzana Justman, Pick’s sister, known for her work as a documentary filmmaker, with David Vaughan from Radio Prague moderating. Video here. April 20, Petra Hůlová, author of Three Plastic Rooms, appeared in the 2018 PEN World Voices Festival, in New York, together with Georgi Gospodinov (Bulgaria) and Hwang Sok-yong (Korea). April 20–25, The Puppet Master: The Complete Jiří Trnka, a series of 18 short and 6 feature-length animated films, screened at the Film Society of Lincoln Center. Presented by FSLC and Comeback Company, it was the first chance for U.S. moviegoers to see a full retrospective of the works of Czech animation master Jiří Trnka, rivaled in output only by Walt Disney Studios. It now travels on to theaters around the U.S. and Canada. The series includes 11 newly subtitled works, which I was commissioned to do by Comeback Company. April 15: “In Society for the Prevention of Cruelty to Animals, absurdity and black humor are the very tools of survival, a way through the nightmare. This powerful and moving book helps us make peace with, if not sense of, the unthinkable,” writes A. M. Bakalar in a review of my translation of J. R. Pick’s novella in the Los Angeles Review of Books. The book will be published in May. You can buy it online from the University of Chicago Press. December 18, 2017: My translation of the Ludvík Vaculík feuilleton “On a Plane” appears in the January 2018 issue of Harper’s Magazine, accompanying an article by Harper’s publisher John R. MacArthur, “The Human Factor: How I learned the real meaning of dissent.” MacArthur, in a lovely act of literary amends, writes about how a visit to Communist Czechoslovakia, in 1983, transformed his view of the relationship between politics and literature. December 15, 2017: Results from the first-ever Authors Guild survey of literary translators in the US were released today. This is a project I’ve been working on for over two years, so I’m very excited and grateful to see it come to fruition. Here is the press release on the Authors Guild website, with a link to the main findings and next steps for advocacy. Articles about the survey appeared in both Publishers Weekly and Publishing Perspectives, as well as CEATL News and Susan Bernofsky’s Translationista blog. December 7, 2017, I gave a talk at the University of Bristol, titled “Hand Over Fist or Hand to Mouth? Translating Fiction in the U.S.” In the talk, I shared my experience as a translator of Czech literature and offered a sneak peek at results from the first-ever survey of working conditions for literary translators in the U.S., conducted by the Authors Guild in spring 2017. November 30, 2017, I appeared in conversation with Jáchym Topol at the Václav Havel Library, in Prague. November 21, 2017, saw the launch of my translation of the Petra Hůlová novel Three Plastic Rooms, at Waterstones Gower Street in London. You can order the book now from Waterstones. November 6, 2017: My translation of Magdaléna Platzová’s The Attempt was longlisted for the 2018 International DUBLIN Literary Award. 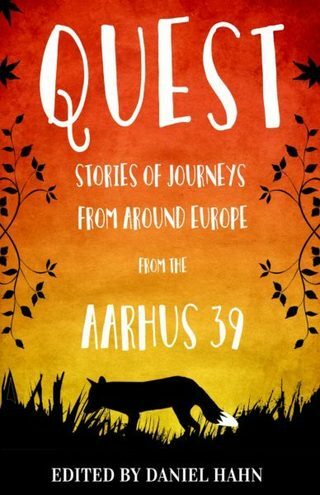 In May 2017, my translation of the children’s story “Dagesh and Mappiq Are Friends,” by Jana Šrámková, appeared in Quest: Stories of Journeys From Around Europe, published by Alma Junior. In fall 2017, I translated the play Debt, by Marek Hejduk, as well as notes by Vincenc Kramář for the Metropolitan Museum of Art’s Leonard A. Lauder Research Center for Modern Art, and editing for the Czech Film Center. In 2016, I published three translations: Midway Upon the Journey of Our Life by Josef Jedlička (Karolinum Press); Love Letter in Cuneiform by Tomáš Zmeškal (Margellos World Republic of Letters at Yale University Press); and The Attempt by Magdaléna Platzová (Bellevue Literary Press). 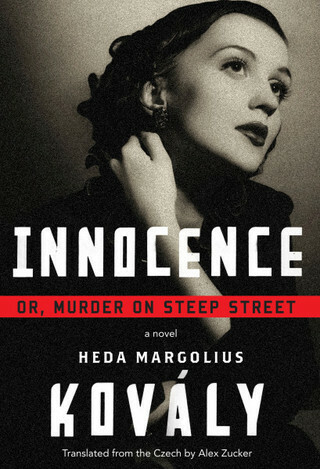 My translation of Heda Margolius Kovály’s Innocence; or, Murder on Steep Street was named one of NPR’s Best Books of 2015. Read the opening of Chapter 1 here. Listen to Maureen Corrigan’s review for NPR here. Read the Wall Street Journal’s review here. Reconstructing Atrocity Prevention, which I coedited with Sheri Rosenberg and Tibi Galis, was published by Cambridge University Press in 2015. 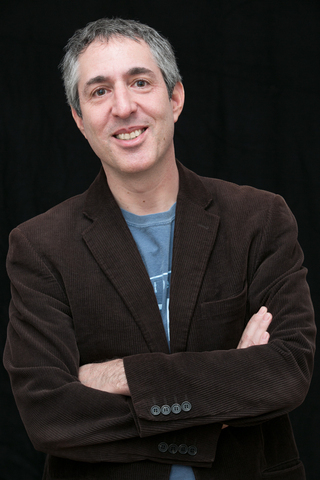 Listen to me talk about the business of literary translation on the Three Percent podcast, with Chad Post and Tom Roberge, here. Read the transcript here. Read other translations of mine in Contemporary Czech Prose: Not Necessarily About Politics, the November 2014 issue of Words Without Borders, for which I also served as guest editor. My translation of Jáchym Topol’s The Devil’s Workshop (2013, Portobello Books) was nominated for the International IMPAC Dublin Literary Award. 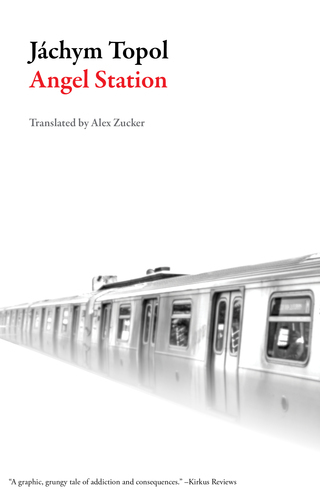 In addition it won an English PEN Award for Writing in Translation, the Typographical Translation Award, and was named to the Fiction Longlist for the Best Translated Book Award. My essay “O Pioneer! Michael Henry Heim and the Politics of Czech Literature in English Translation” appeared in The Man Between: Michael Henry Heim and a Life in Translation, published in 2014 by Open Letter Books. Also in 2014, I was commissioned to create new subtitles for the digital restoration of Closely Watched Trains, the 1966 Oscar-winning film by Jiří Menzel, based on the Bohumil Hrabal novella. As of 1/1/18, my rates for literary translation range from $0.18 to $0.30 per word, depending on difficulty, time frame, and other factors (including whether or not royalties are paid). My standard editing rate is $60 per hour, again depending on difficulty, time frame, and other factors.